Al Falah University celebrated Lag Day with the participation of the University President Prof. Abdelhafid Belarbi and Dr. Sameer Barghouthi, Vice President for Academic Affairs and all the academic and administrative members and students. 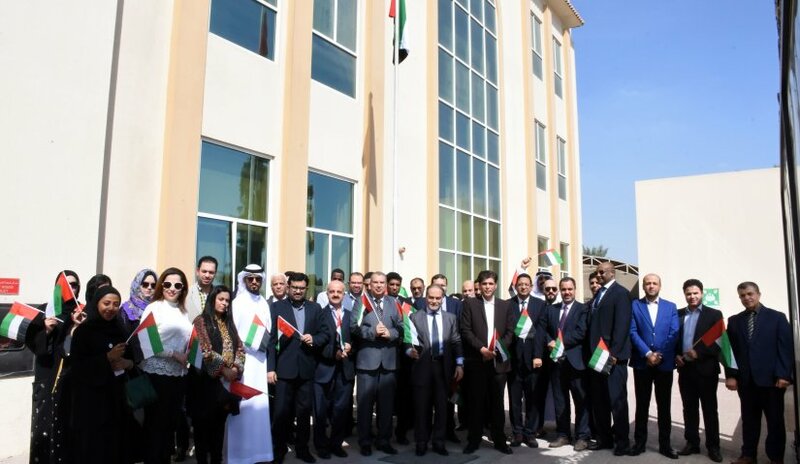 Prof. Belarbi emphasized pride in celebrating Flag Day which has a role in embodying national identity and honoring the nation’s good leadership. It also establishes the highest meaning of peace, justice, tolerance, affirmation of love and loyalty and raising the spirit to keep it as strong as the pride and strength of the people of the Emirates. Prof. Belarbi also added that the UAE is the first Arab country to celebrate the flag on a national occasion. This initiative reflects the culture of respect for its sanctity as a symbol of the sovereignty of the state, the loyalty of the leadership and the nation.